The training of PhD students in the DTP is designed to meet the ambitions of the “Statement of Expectations for Postgraduate Training” published by the Research Councils, British Heart Foundation, Cancer Research UK, and the Wellcome Trust. This statement defines expectations of the research organisation and also of students. In essence the expectation is that we should provide exceptional training opportunities while students should manage and direct their research and, importantly, develop higher-level capabilities. contribute to society and the economy through successful careers in wide-ranging roles and across job sectors. This is encapsulated within the Vitae Researcher Development Framework (RDF). Vitae is an organisation that originated in training of doctoral candidates by the Research Councils. Vitae now supports the development of researchers at all stages of their career. Research Projects Students will receive high quality training in their research projects and by being embedded in centres of excellence. Students enrolled in the 1+3 pathway, will complete three rotation research projects during the MRes. The choice of projects is student led, and enables students to explore a variety of different research areas. At the end of the MRes the students choose which of their rotation projects will be the basis of their PhD. Students enrolled on the 0+3.5 pathway will immediately start on their selected PhD project. Additionally, the DTP has organised training workshops, including a core of essential importance that are compulsory to all DTP students. Research Ethics & Integrity Students receive training in the principles of good research conduct in their discipline, and understand how to comply with relevant ethical, legal and professional frameworks. Experimental Design & Statistics Students receive training in experimental design and statistics appropriate to their disciplines and in the importance of ensuring research results are robust and reproducible. Critical Thinking Students receive training to develop and enhance critical thinking skills to support their development as independent researchers. Each Theme is responsible for providing this training using a variety of modalities. Technical Workshops The DTP organises a wide variety of Technical Workshops which provide technical raining across all the disciplines within the DTP. These provide for student led, flexible training, each student can tailor their training to specific needs and interests. 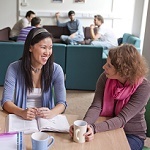 Students are required to undertake a specific number of workshops each year, which varies dependent on whether they are in the MRes phase or PhD phase of the programme. Available MRC DTP Workshops. Flexible Supplement The Flexible Supplement is an additional source of funding available to DTP students to support additional high quality training available outside King’s. This may include access to national and international research facilities, to visit and work with an overseas collaborator etc. Commercialisation & Entrepreneurship In collaboration with the Commercialisation and Entrepreneurship Institutes at King’s, the DTP provides opportunities for student to engage in activities that promote their experience and knowledge of how basic research leads to translational and commercialisation outcomes. Public Engagement The DTP actively promotes and supports engagement with the wider public, in particular with local communities in London. The DTP works closely with the King’s Cultural Institute and the Science Gallery to provide opportunities for our students to develop such activities. We offer bespoke training courses flexibly tailored to student interests and needs. We invite our colleagues that provide training to read the following document containing general information and guidance which will support them in their role as workshop organiser. Are you a prospective student wanting to know more about our training and workshops? Are you an academic at King’s College London who could offer a new workshop? 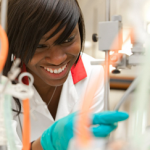 Please contact the Research Training and Development Coordinator: elena.allen@kcl.ac.uk.